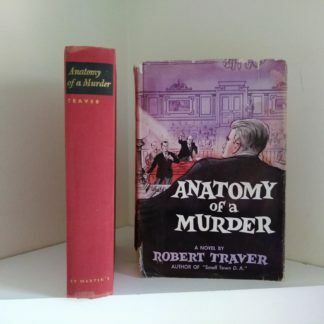 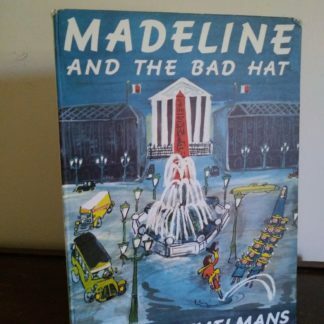 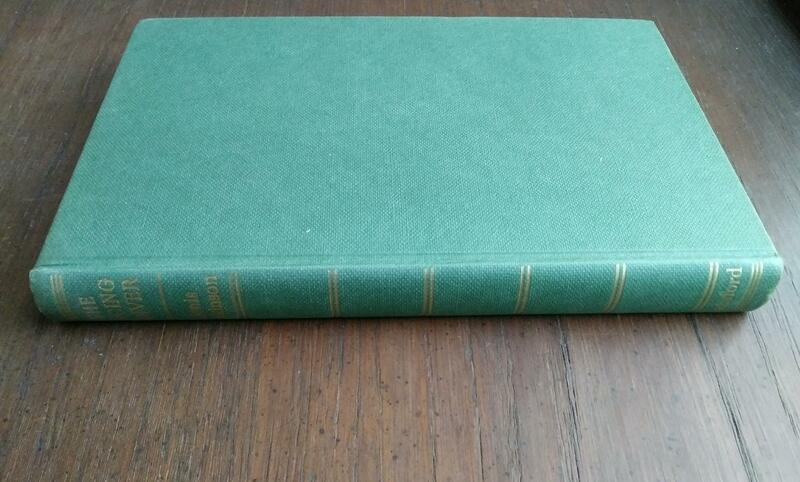 A nice clean 1959 copy, 3rd impression. 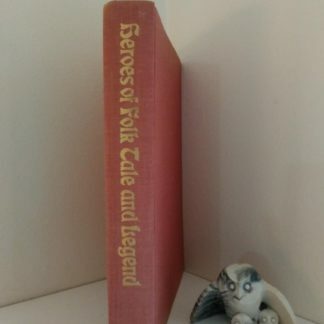 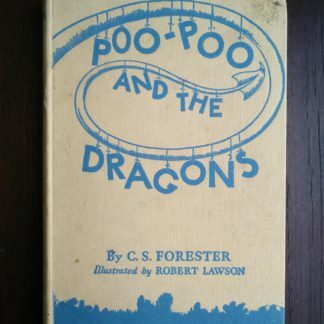 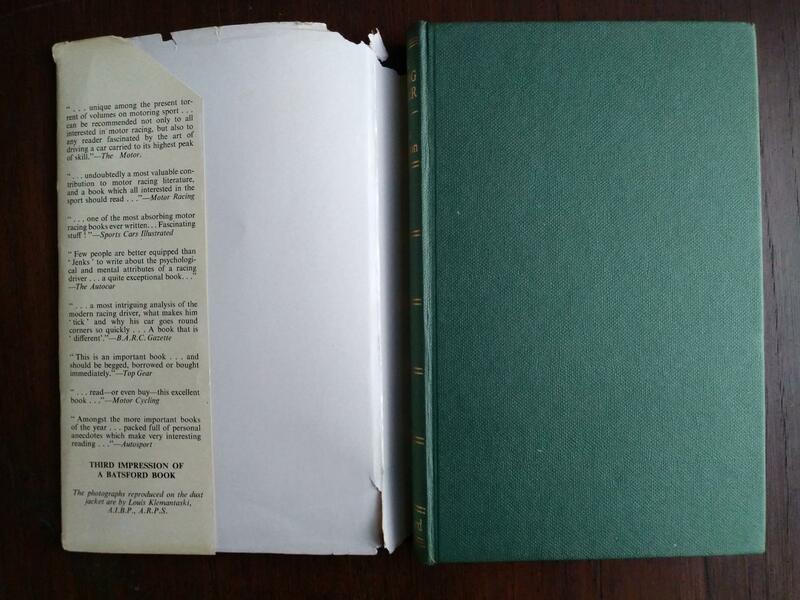 With Original Dust Jacket. 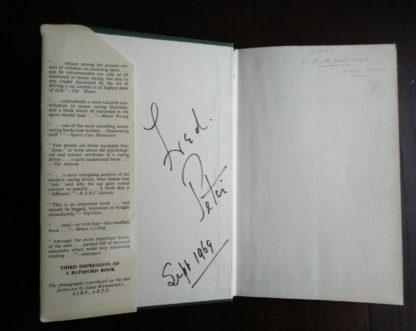 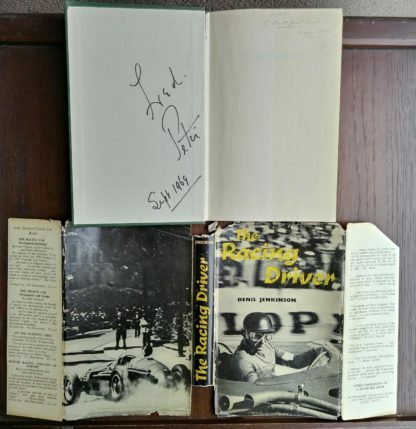 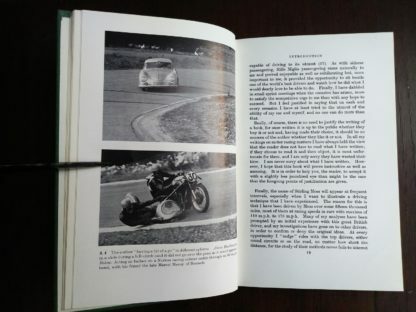 The book is signed by racer Fred “Jiggs” Peters (28/9/1920 – 25/12/1993). 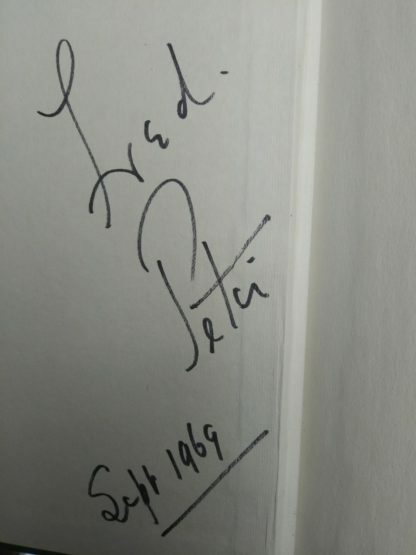 It is signed on the front paste-down paper. 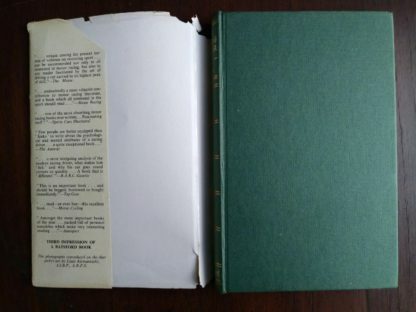 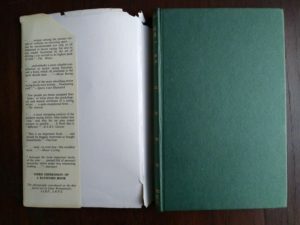 Dust jacket has some rips and tears. 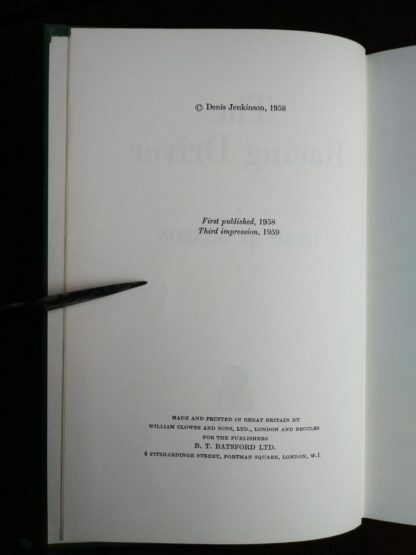 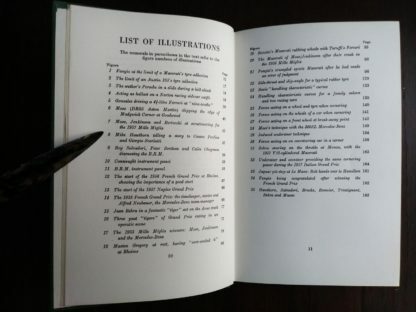 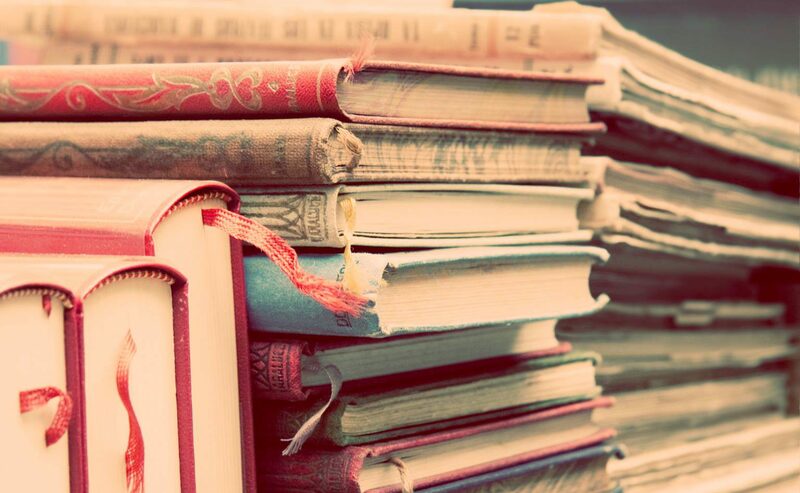 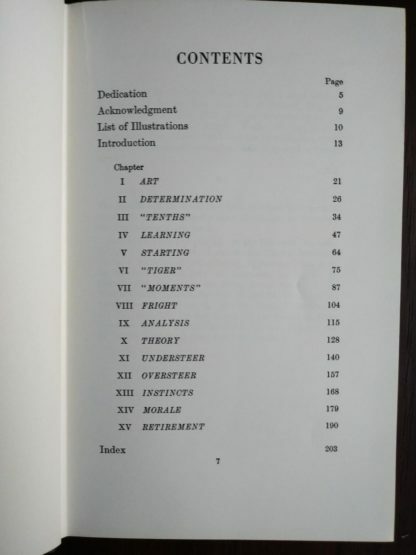 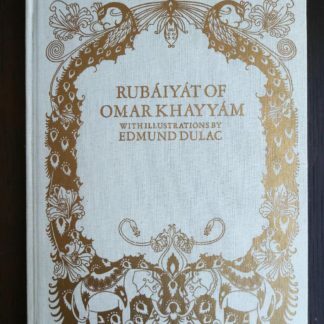 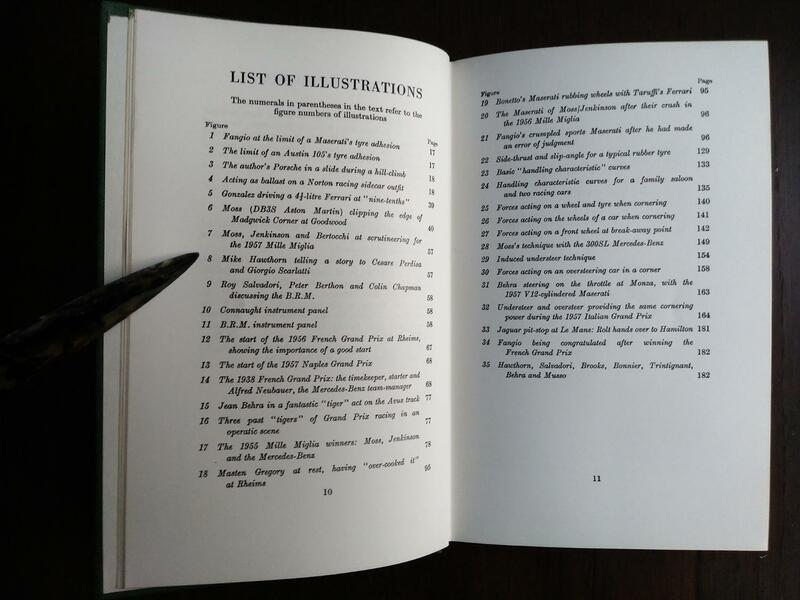 Book itself is in immaculate condition. 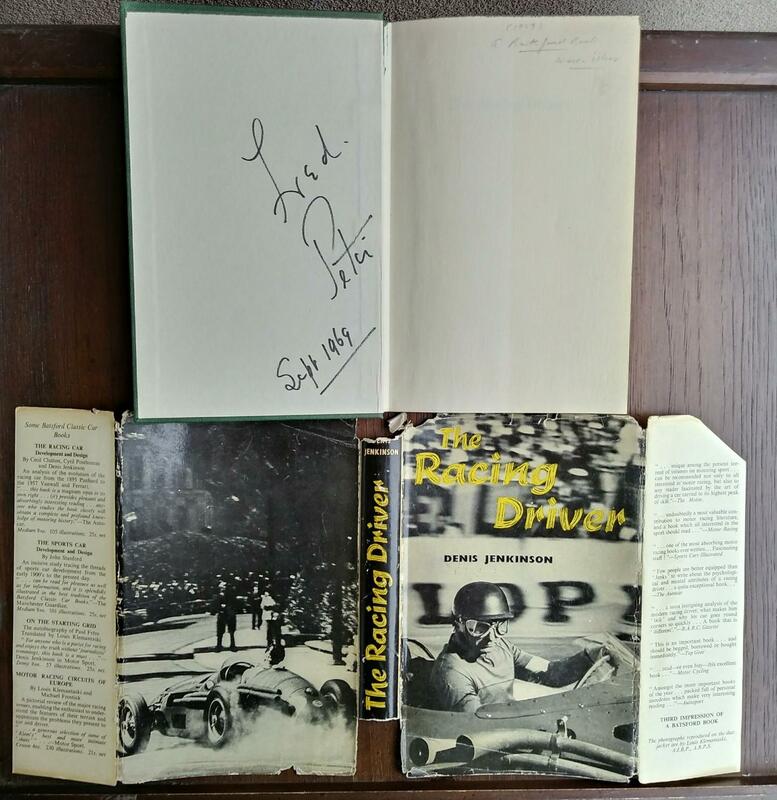 Unfortunately, I do not have any provenance on this signature other than my very fun conversation with the nice ‘oldtimer’ gentleman racing-fan I picked up this book from. He told me his story of acquiring the signature from ‘Jiggs’ in 1969. 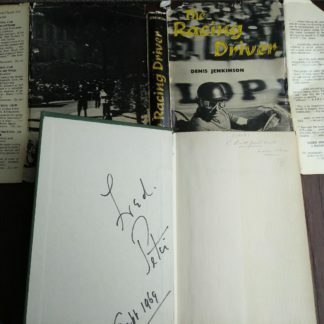 I have no idea what having Jiggs signature in this ’59-copy race book it is worth. 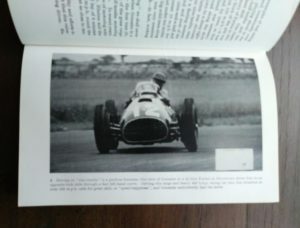 I have never had it appraised. I think that this book would make a great gift for a Racing-enthusiast. 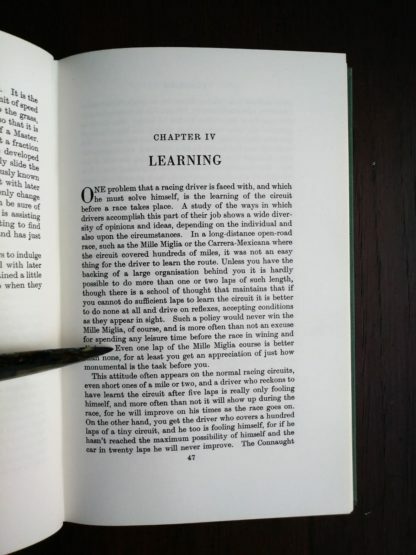 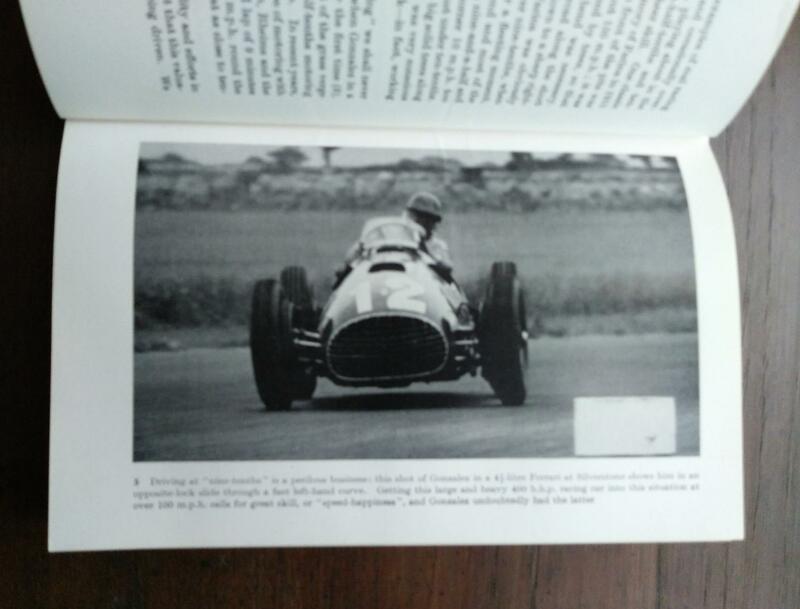 Denis Jenkinson’s classic “The Racing Driver” was first published in 1959 and has remained a must-have for any racing library. Over thirty years later this book is highly valued for its historical perspective and views into the personalities of men who today seem larger than life. 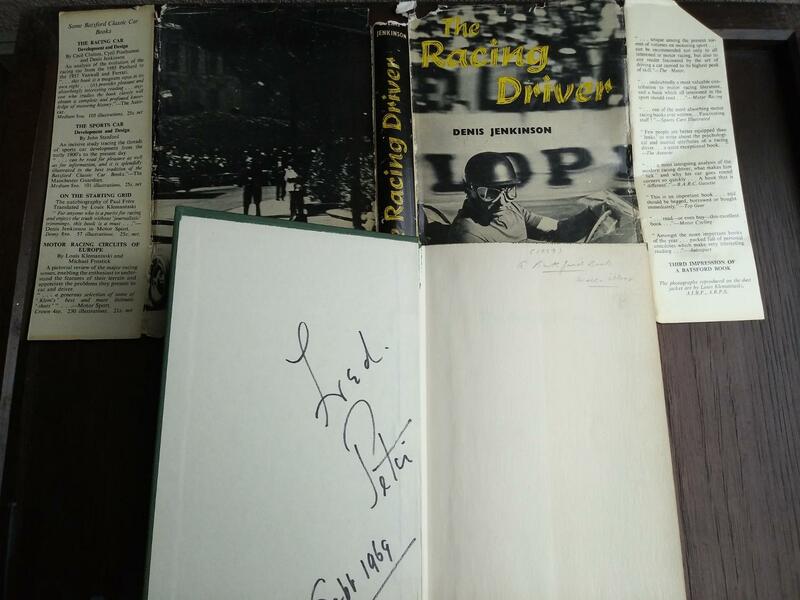 Jenkinson is the only person who covered thousands of miles as a racing passenger with the most famous Grand Prix drivers of the fifties, including Stirling Moss, Juan Manual Fangio, and Mike Hawthorn. 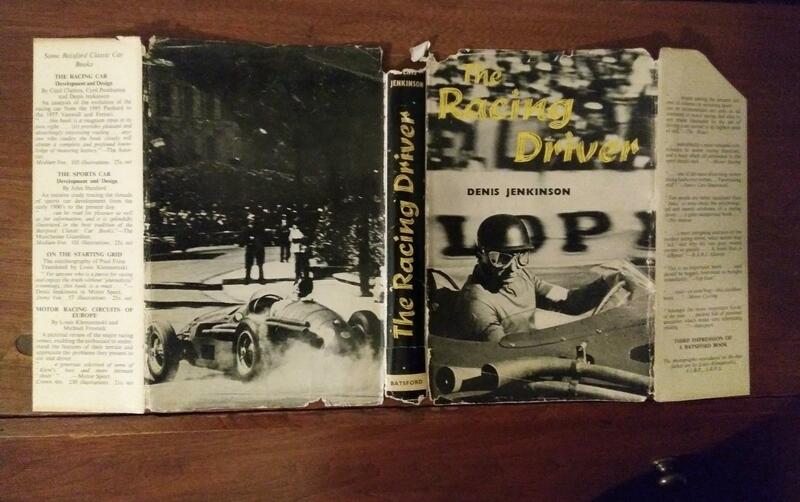 This new release of “The Racing Driver” contains new material, including a new preface by the author himself. 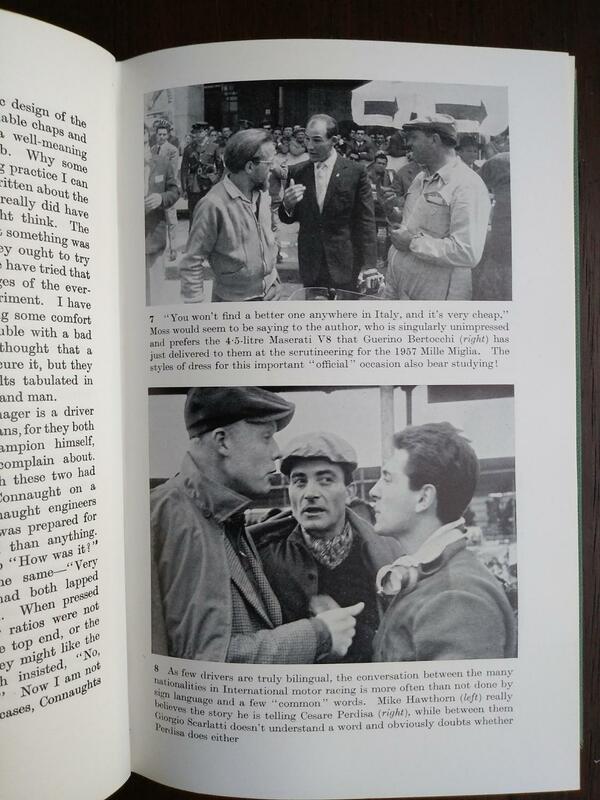 The foreword is by Stirling Moss, who won the 1955 Mille Miglia with Jenkinson at his side […] Whether you are interested in vintage racing, historical accounts of famous drivers or driving techniques that are important even in today’s racing, “The Racing Driver” will provide a greater understanding of the skills and abilities required to be a winning driver.